These screw caps are designed for use with the Globe Scientific sample tubes. They are made of polypropylene, providing the same coefficient of expansion as the tubes. This along with a polypropylene inner lip ensures a leakproof seal, even at changing temperatures. The cap features a long skirt and a super-fast thread design that allows it to be removed or sealed with a single turn. 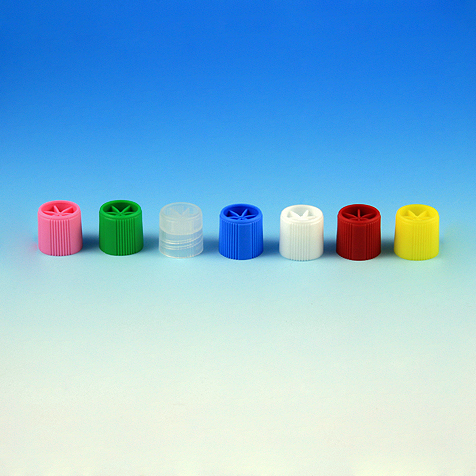 The caps are available with or without a silicone o-ring. Both are available in a variety of colors.